The HP Slate 500 is a great little tablet PC, but the OEM case doesn't allow you to hold the tablet up at different angles. 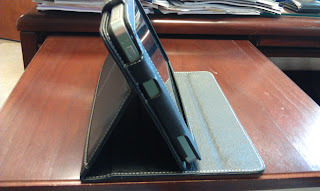 I chose to get the PDair book case because this case allows you to hold the slate up at 3 different angles. PDair makes two types of book cases for the HP Slate 500. 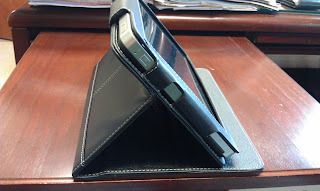 I got this case from Amazon: "PDair BX2 Black Leather Case for HP Slate 500 Tablet PC "
The PDair case shipped from Hong Kong. The book case is made of high quality leather and the craftsmanship is very impressive. 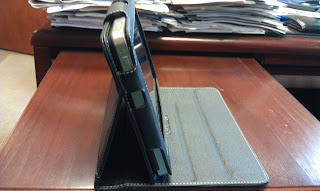 The case is thicker than the OEM case, but I think it's worth the extra thickness given all the functionality and extra protection it offers. 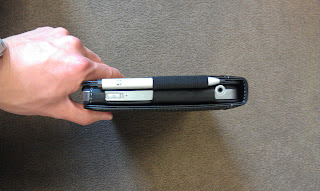 The case is held closed by small magnets. 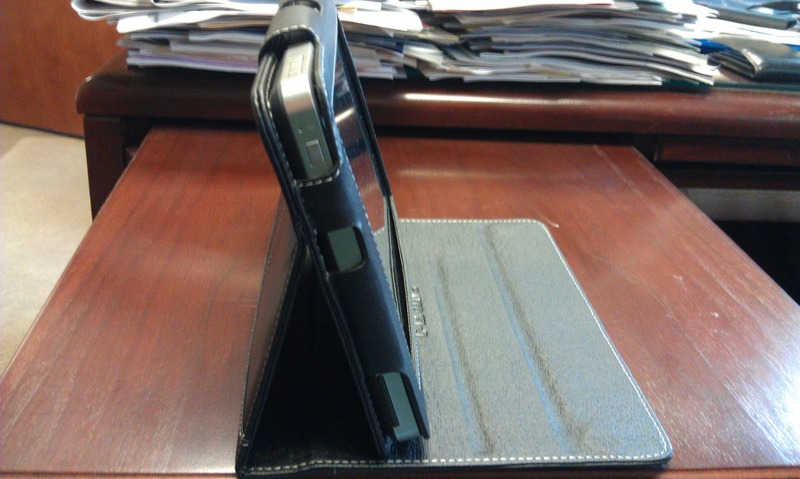 In many ways, this case reminds me of the Marware C.E.O. Hybrid iPad Case. You'll see that the slot for the pen is on the side. The pen remains exposed, but at least it won't scratch your slate. 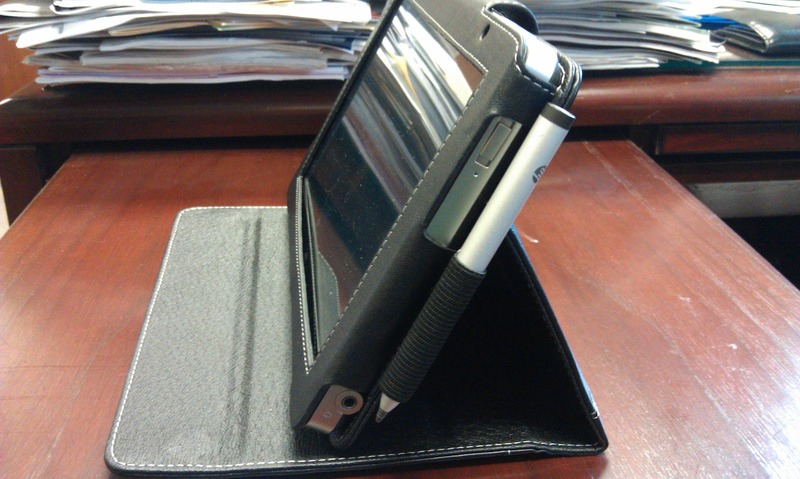 The pen is easy to access when you have the slate held up at an angle.